After a bit of a sabbatical to open my new restaurant, Craft & Cleaver in St Albans (shameless plug alert), I'm very happy to be back, writing for Vinspire again - to share ideas, experiences and opinions, be creative and hopefully make your drinking experiences even better. Tearing myself away from work, me and the missus (Adele) booked a last minute trip to the gorgeous Amalfi coast, and a hotel in the picturesque town of Sorrento. Famed since the 50's as the 'go-to' destination of the rich and famous, this beautiful peninsula is peppered with stunning views, cliffs and fishing towns, orchards, vineyards and olive groves. It really is paradise. 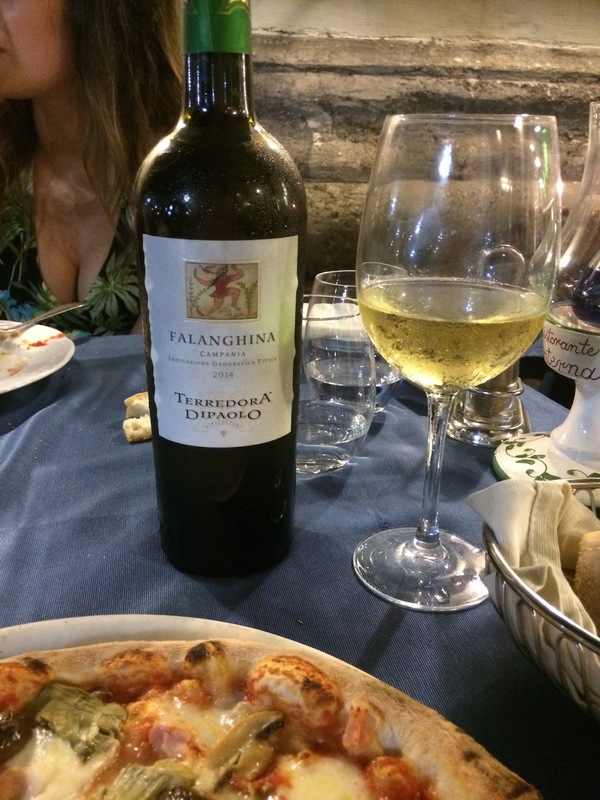 As well as the magnificent sights and tourist attractions: Positano, Capri, Vesuvius and the incredible Pompeii, the Amalfi coast and the surrounding area is a drinks freaks dream. Limoncello producers are everywhere, utilising one of the fruits the region is famed for, Lemons. These aren't just any lemons, these are gigantic, monstrous, man-eating lemons the size of footballs. Imagine a lemon on roids. The Dwayne Johnson of Lemons. If one fell on your head, you would get up and run, as I'm sure that would just be the first in a wave of attacks. Anyways, enough about lemons, the wine here is even more special. 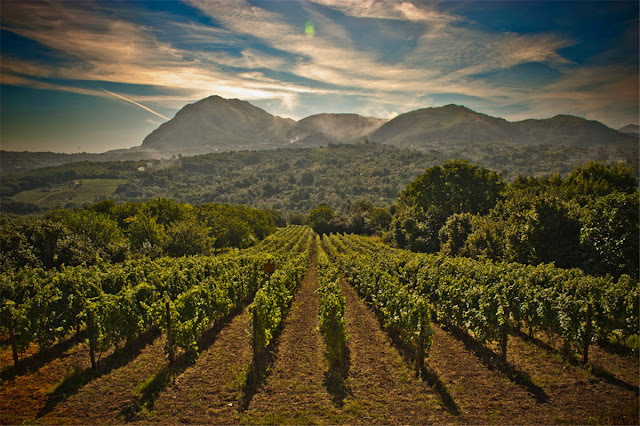 Although not the most famous region for grape growing and wine production in Italy, Campania has a great local production from small producers and bottlers. Grape-growing is a way of life here; the hot summers, the rich volcanic soil and limited rainfall mean that vines produce fantastic grapes, perfect for high-alcohol reds, and tart, lemony whites. The reds are principally made from the aglianico grape and are largely similar in style to Primitivos from Apulia (the heel of Italy - also known as Puglia), or sometimes Barolo. Likewise these wines have excellent ageing potential, and a number of producers age them in oak. One, in particular, barrel-age their wines in cool stone caves along the mountains under their vineyards. The reason Campania is unique as a grape-growing region is its resistance to planting what is commercially popular. The ancient vines that grow here have done for thousands of years - thousands of relics from Pompeii show that the Romans loved the wine of the region as well. Grapes that grow here are almost exclusive to this region. That makes it special. The wine produced here is even better when drunk with food. Oh the food - wow! Pizza from the region in which it was invented, al-dente Pasta, Seafood... The diet went out the window the minute we landed at Naples. How are the Italians not all fat? I just don't get it. The whites have that dry, aromatic, lemony character, similar in style to the Gavi that is currently so popular in the UK. You can also easily finish off a bottle or two just people-watching, as Adele will tell you. If (like all of us here at Vinspire) you like wine, and you need just another excuse to book yourself a trip to this stunning part of the world, you will not regret it. Flights and half-board accommodation was £620 each for us, but you can get attractive-looking Amalfi travel packages from as little as £350 each from Thomas Cook. Make sure you hire a car, do the Amalfi drive, visit Positano, Pompeii and Capri, and visit some of the numerous vineyards dotted around - you can also book vineyard excursions with your tour operator or locally, and have a tour of vineyards, lunch and a few glasses of wine included.